On Thursday, we had a visit from a speaker from the WE organisation. WE is a movement that believes when we come together we can create an even better world. WE makes it easy for you to get involved—whether at home, school or work—by offering resources to help you create positive social change in your community and around the world. Our five beliefs form the foundation of the WE Movement. They guide us in the work we do at home and around the world, together. 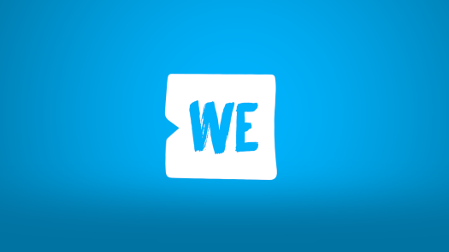 As the WE Movement continues to grow, these are the standards and principles we will all aim for. With the highest standards, we will make the greatest change. We are a movement comprised of individuals with unique gifts, talents and contributions. Together, we are powerful beyond measure, knowing that our strength lies in the uniqueness of us. However, the movement isn’t complete without you. We are capable of doing more together than any one of us could do alone. Anyone can make a difference. We believe in the democratisation of impact. There are myriad ways to participate both through giving back and our daily choices. We believe in the inclusive nature of doing good and that anyone can apply their individual passion to a collective world-changing impact. We are defined by our daily efforts. If we don’t take action, who will? We believe that our actions will inspire others to do the same. These actions will help create a tidal wave of impact. We know that small things add up to great change. Because, WE starts with me. We are involved with each other in a global connection — with our friends, our families, our communities and the world. We ask, what else can I do? We believe in giving of ourselves to help raise a compassionate future generation that looks for any opportunity to make a difference. WE is a movement that exists for one reason: to make the world a better place. We are shameless idealists who believe that there is a version of our highest selves that comes from living a life of daily legacies. Our lives take on a deeper, transformative meaning when we impact the lives of others. I am WE. Year 5, 6 and the school council had workshops where we identified issues in the local community. We chose homelessness and speaking up. We decided to put some plans into motion by thinking about having a donations drive to collect things homeless people may need e.g. toothpaste, toothbrushes etc. We plan on making links with a local shelter and working together to help. We had an amazing time working together to try to help those in need.